Here is your daily LawFact from Wise Law for Thursday June 29, 2017. For more information on #EmploymentLaw, #FamilyLaw, #Wills, #Estates, and #EstatesLitigation, visit our website at http://www.wiselaw.net. Here is your daily LawFact from Wise Law for Wednesday June 28, 2017. Here is your daily LawFact from Wise Law Toronto on Tuesday June 27, 2017. 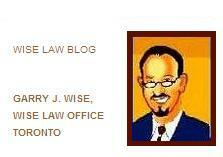 For more information about Employment Law, Family Law, Wills, Estates, and Estates Litigation, visit our website at http://www.wiselaw.net. Here are our Top 10 legal headlines for the week of June 26, 2017. 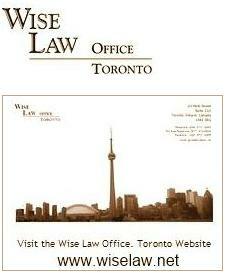 Here is your daily LawFact from Wise Law Toronto for Thursday June 22, 2017. Here is your daily LawFact from Wise Law for Wednesday June 21, 2017. Here is your daily LawFact from Wise law for Tuesday June 20, 2017. Here are our Top 10 legal headlines for the week of June 19, 2017. What's next for Bill Cosby after mistrial? 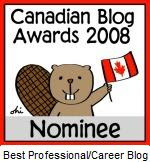 Last week, an interesting Ontario Court of Appeal case that I recently argued, Floward Enterprises v Winberg Estate 2017 ONCA 448, was featured on Lawyer's Daily. The full article is available here. In most Court cases, there are two parties and both get the opportunity to plead their case before the Court. In order to ensure this outcome, the party who has initiated the court proceeding or step has to give notice to the other party of what action is being taken. In some exceptional cases, however, only one party is present. This may be because the other party can't be found, or hasn't replied, and in some cases, it is because a quirk of the rule permits the case to be heard even though other parties haven't been notified. What does this mean for the parties that aren't in Court? Do their rights get protected? Does someone speak for them. The Answer according to Floward, is that lawyers have a professional obligation to tell the Court what they know. Justice Gillese wrote: “The need for an applicant to make full and frank disclosure in a s. 490 application is acute. On such an application, the court is tasked with providing judicial oversight to achieve the ultimate goal that a thing seized by peace officers is returned to the lawful owner or person lawfully entitled to its possession." " In order for the court to properly fulfill its supervisory role [...] – to see that seized things are returned to their lawful owners or those lawfully entitled to their possession once they no longer are required for any criminal investigation or proceeding – judges [...] must be able to rely on applicants to have made full and frank disclosure. Only through such disclosure can the court make informed decisions about, among other things, whether other interested parties must be given notice of the proceeding. In our view, this case is an important reminder to lawyers about the duties they owe to the Court. Thanks to Amanda Jerome for covering this interesting case! Here is your daily LawFact from Wise Law Toronto for Thursday June 15, 2017. Today we are talking about Wills and Estates. Here is your daily #LawFact from Wise Law for Wednesday June 14, 2017. Today we are talking about Family Law. For more information on Employment law, Family law, Wills, Esates, and Estates Litigation, visit our website at http://www.wiselaw.net. Here is your daily #LawFact from Wise Law Toronto for Tuesday June 13, 2017. Today we are talking about Employment Law. Here are our Top 10 legal headlines for the week of June 12, 2017. Here is your daily LawFact from Wise Law for Thursday June 8, 2017. Here is your daily LawFact from Wise Law Toronto for Wednesday June 7, 2017. Today we are talking about Family Law. Here are our Top 10 legal headlines for the week of June 5, 2017. Canadian Judicial Council must signal to judges that undue delays will not be tolerated: Editorial. Here is your daily LawFact from Wise Law Toronto for Thursday June 1, 2017.